Is Your Daily Diet Affecting Your Blood pressure? The 'bad news' is that you or a loved one has been diagnosed with high blood pressure, known medically as hypertension. The 'good news' is that you've arrived at the High Blood Pressure Diet to seek help. ”...changing your diet can lower your blood pressure as effectively as taking a drug”. Are You Getting the Right Nutrition Advice? Despite the excellent nutrition research that is currently available, there is still a lot of food and diet misinformation on the internet and in the media. For example, how many times have you been told that all you have to do to lose weight is too eat less calories and exercise...WRONG!! In fact there are many causes that contribute too weight gain including; stress, medication and even drinking diet pop daily. The belief that all calories are equal is also false. For example, if I ate 1000 calories of broccoli a day and you ate a 1000 calories of bread a day, then you would have a weight problem and I wouldn't! This is because calories are actually metabolized differently in the body; bread activates the fat storage hormone insulin, broccoli doesn't. The highly touted "low fat diet" craze has actually made us heavier as a nation, as witnessed by the current epidemic of obesity in North America. The truth is we need 'good fat' in our daily diet. Good fat actually helps us lose weight and lower our blood pressure. 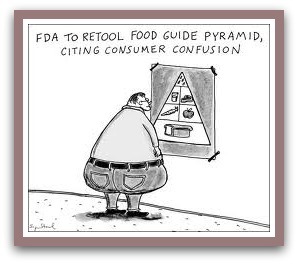 Nutrition misinformation is confusing and can keep our blood pressure high and our bodies in a state of poor health. It is important to seek out credible, accurate nutrition information. Avoid being a passive consumer, particularly when you are dealing with those whose interests are profits; such as food companies whose products line the shelves of grocery stores. Many food companies, manufacturers and restaurant chains continue to deliver cheap low quality food full of hydrogenated fats, sugars and chemicals. They also use slick advertising and manipulate the media to convince us that their food is the best. They have a lot of tricks to get us to buy their products or visit their restaurants. Have you noticed how food companies put 'low fat' on their label and then add a lot more sugar?...I would rather have the additional fat than the sugar any day.Keep in mind, these companies are interested in making profits and keeping their shareholders happy...their priority is not in keeping you healthy. Pharmaceutical companies are also only interested in getting you on more drugs. What would happen if we all began to eat better and required less drugs? I can't help but see a parallel here between the recent banking fiasco and the pharmaceutical companies whose primary interest is in keeping us sick. The good news is there are a few 'good' food companies out there that really do produce quality, nutritious products and do have your health in mind. Moreover, if you avoid packaged goods and buy fresh whole foods, such as fruits and vegetables, nut and seeds and fresh lean protein, as recommended on the high blood pressure diet, you can take back your health. By taking responsibility for your own health, you can change the direction of your life. Today Cathy has lost 112 lbs on the high blood pressure diet.By working with her doctor she has stopped taking 4 of her medications. She looks fabulous and admits she feels fabulous. In a couple of weeks I will be taking her “after picture” in her new size 8 dress and posting her testimonial. If you are looking for sound nutritional advice, quick results and a food plan that is easy to implement then you have come to the right place. 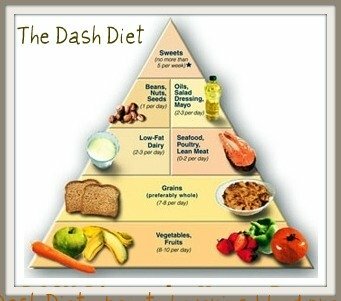 As your personal health coach, I will introduce you to a new way of eating based on recommendations by the American Heart Association and the DASH diet researchers. This new way of eating is called The High Blood Pressure Diet. I'll introduce you to some helpful Mediterranean food tips and even give you an easy 7 day meal plan to help guide you. We will also dispell the many nutrition myths that abound on the internet. On the High Blood pressure Diet, you'll discover foods to avoid and important foods proven to lower blood pressure. I will share with you delicious heart healthy recipes and helpful tips from clients just like you...clients who have beaten high blood pressure and are enjoying a healthier lifestyle with more passion, energy and zest for life. There are a few high blood pressure symptoms you should look out for. It is easy to ignore these symptoms since they are often subtle, Women are experiencing heart attacks at an alarming rate. Regularly eating foods that lower blood pressure can heal and improve your heart health and many of your other health ailments too. Build yourself a heart healthy diet plan in seven easy steps, learn the keys to successfully changing your lifestyle and building yourself a healthy meal plan using delicious heart healthy foods. The High Blood Pressure Blog keeps you upto date with all additions and changes to the-high-blood-pressure-diet.com website. Subscribe here. Would you like to share your knowledge about high blood pressure diet? Great, find out how you can submit your story or tip here.